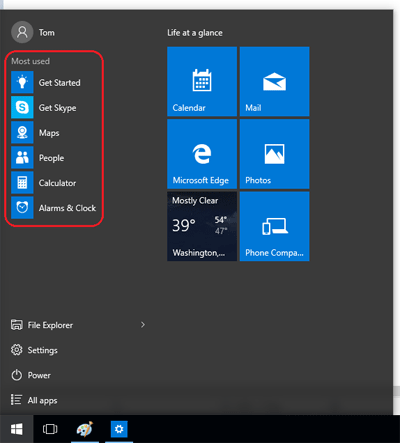 One of the new features in Windows 10 is the ability to show you your most used apps at the top of the Start Menu. Some people find this useful, while others want to turn it off. In this article, we’ll discuss how to show or hide the most used apps in the Windows 10 start menu through the Settings menu as well as group policy. We’ll also walk through some of the steps you might need to do if you find this option is greyed out where you can’t change. it. If setting the group policy still doesn’t work, you’ll probably need to deploy the Start_TrackProgs registry key above through Group Policy as well. If this setting doesn’t work, you’ll probably need to edit the Start_TrackProgs registry key mentioned above.